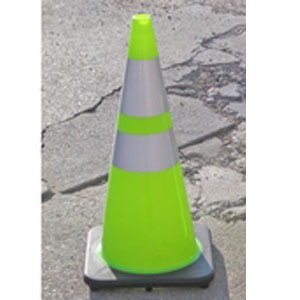 SAFETY ITEM > Safety Equipment > Lime-Green Traffic Cones Reflective Collar 28"
from rolling away or blowing over. Features hi-intensity reflective cone collars for maximum visibility. Sizes: 28".